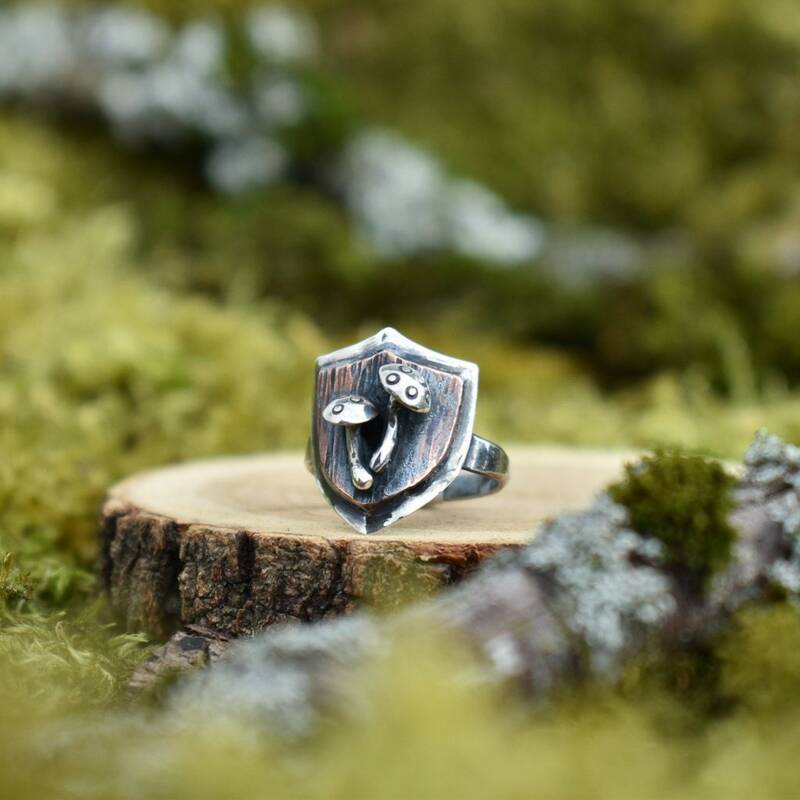 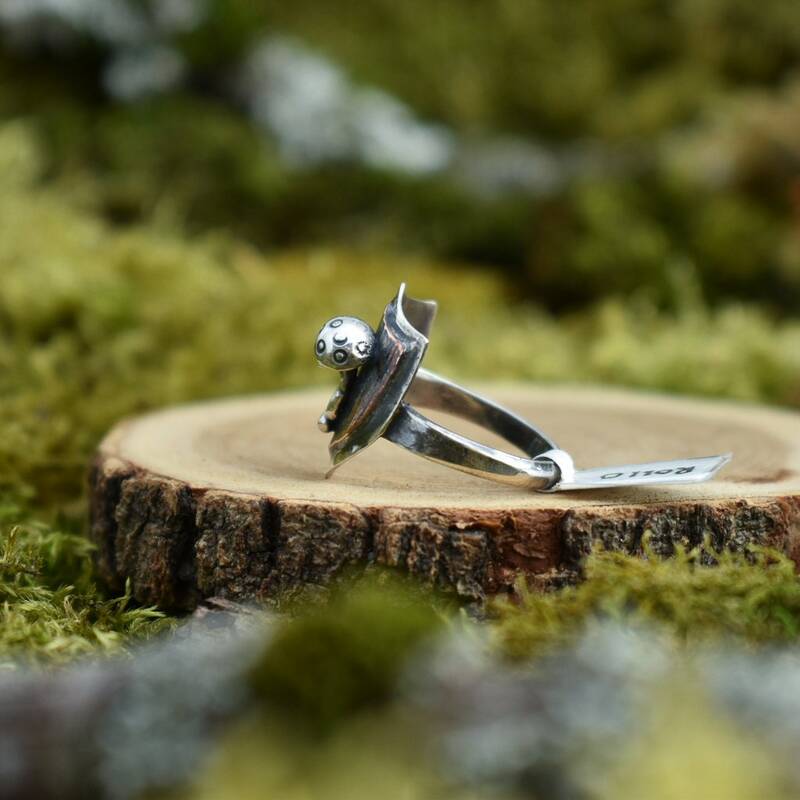 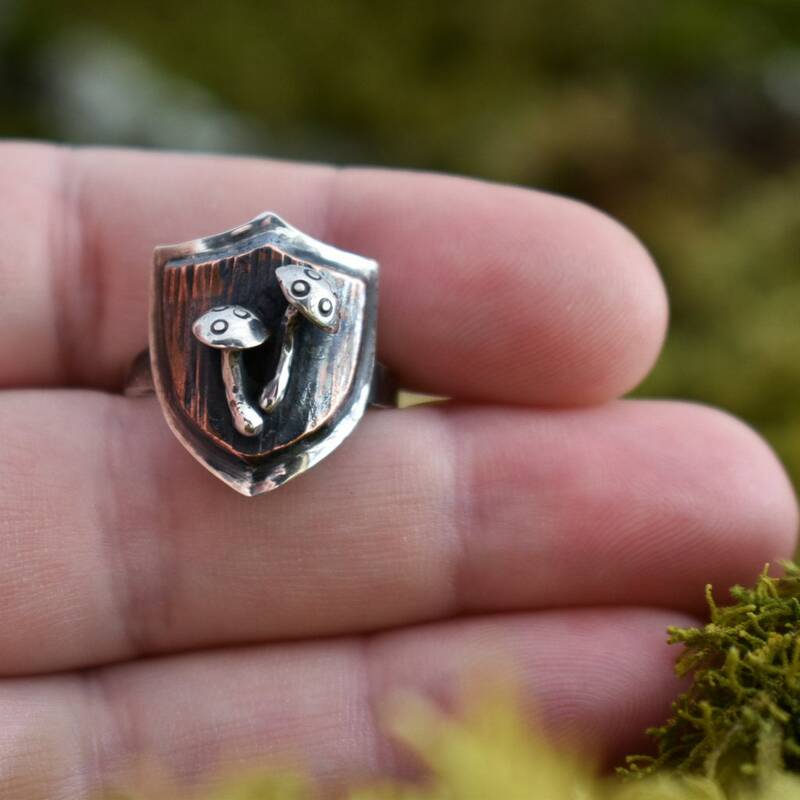 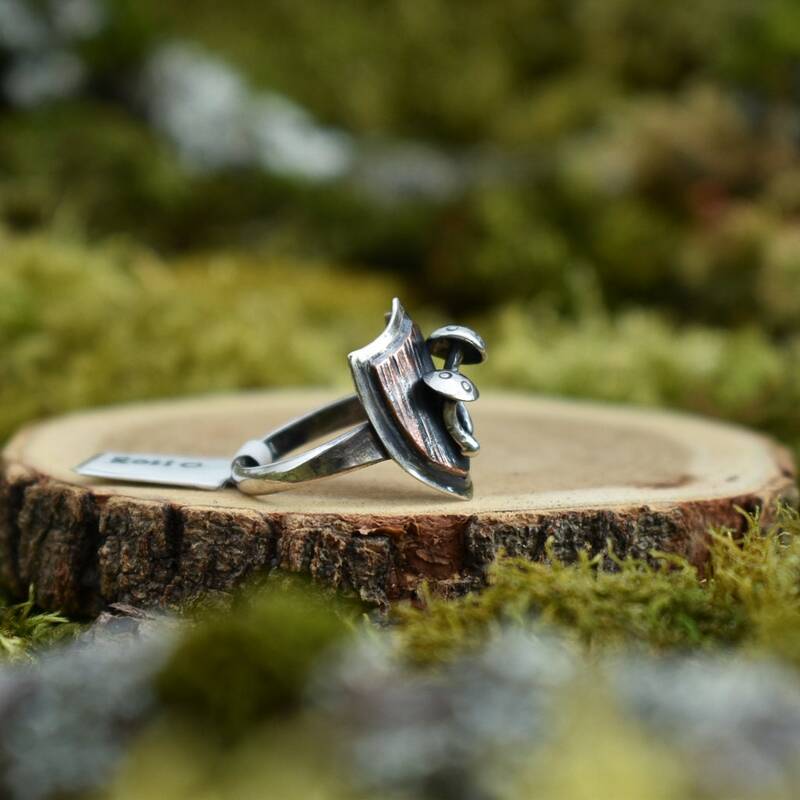 This sculptural shield ring features a duo of dimensional sterling silver, spotted toadstools centered on a bark hammer textured copper shield, mounted on more sterling silver with a half round band. 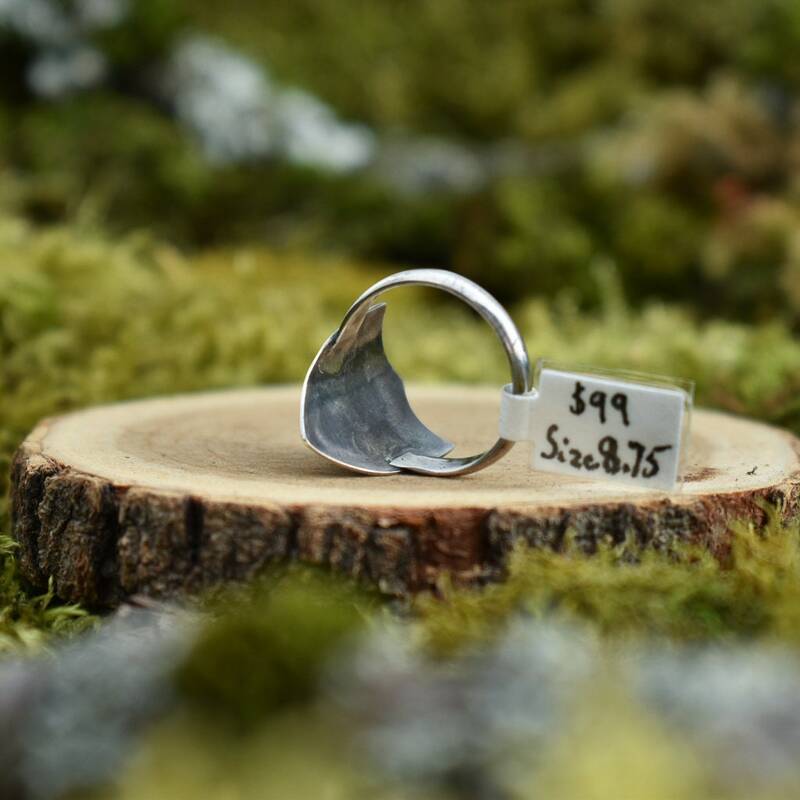 See last photo for size/scale. 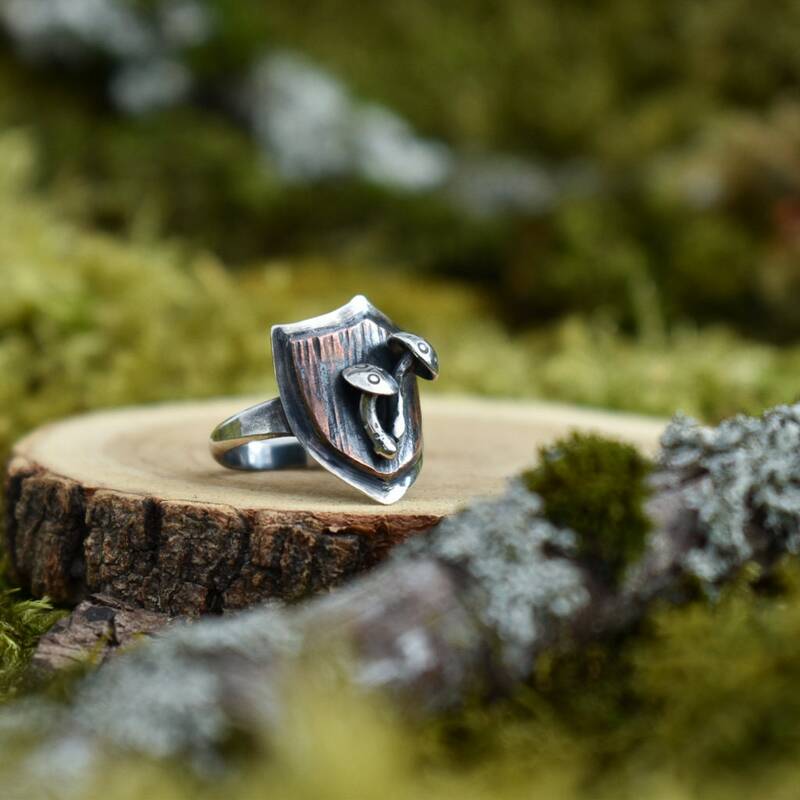 All copper pieces are sealed with ProtectaClear to impede tarnishing.